There are actually thousands of Swedes living in Toronto and probably many more across Canada! How do you spot one? No, they’re not all blond with blue eyes. Swedish women tend to dye their hair often :-). However I can usually spot one by the way they dress (call it my sixth Swedish sense!). There’s something really stylish about them. Anyhow, they are actually pretty hard to spot since they assimilate well in Canada. But, here’s a list of organizations and groups that will help you mix and mingle with this Nordic bunch. Of course, the embassy is the first stop in getting information about immigrating to Sweden or Swedish connections in Canada. The Swedish Women’s Educational Association of Toronto, a big women’s group who put on the famous SWEA Christmas Festival at the Harbourfront every year. You must be a Swedish-speaking female to join. Their main purpose is to provide educational exchanges to Sweden and support Swedish women around the world. they have various activities such as book clubs, stitching get-togethers and dinner meetings. I’m a member of this org and think it’s a great way to connect with other Swedish women and their families. A Swedish government-supported group that promotes Swedish trade and commerce in Canada. They provide support and research to Canadian businesses that want to do business with Sweden. This is a great resource for those needing to get in contact with Swedish businesses in Canada. Same as the Swedish Trade Council, but more focused on existing Swedish businesses in Canada. Located on Yonge and York Mills, the Swedish Church shares its locale with the Finnish Church. They have various activities throughout the year, such as Easter Mass and Easter Lunch and have a Swedish Sing-A-Long Playgroup every Thursday at 1pm. This is a group started by Ylva Dahl to provide a informal social network to those outside the above groups. They organize primarily Pub Nights and have an active Facebook page where members engage in helpful Swedish tips and happenings around Toronto. By invitation only, so you would either need to contact me or someone in the group to get into the Facebook Group. 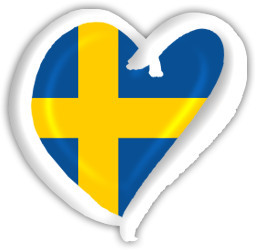 There are multiple locations where children ages 5 and up can learn Swedish and play with other Swedish kids in town. They usually have classes only on the weekend. This older organization encompasses not just the Swedes, but Finns, Norwegians, Danes and the Icelandic folks whom have inhabited Toronto and surrounding areas for decades. For your membership, they offer Bridge and movie nights, a monthly newsletter and a clubhouse (91 Stormont Ave, Toronto, ON) and rooms for rent in their clubhouse. For more information about membership, please contact Kristin Lyssand. For information about the clubhouse and rooms for rent, please contact Thor Eklund. This group strives to preserve and enhance the rich traditions of Swedish folkdance and music. They perform at various events and concerts in their traditional provincial costumes. If you’re interested in seeing any of their events, visit their site! I am living in downtown Toronto and was hoping to buy Swedish Christmas card. I dont know where to begin looking. I believe i missed Harbourfront festival email me k_ehsc@hotmail.com if you can direct me please and thank you. It would mean so much to the recipient as they use to live there . They may have a few Swedish Christmas cards left at Beaches Bakeshop on 900 Kingston Rd., Toronto, but otherwise you will have to order them online. If you are referring to Beaches Bakeshop, it’s on 900 Kingston Rd close to Victoria Park Place. If you look at TTC’s website (TTC.ca) you can find a street car that goes directly there. Good luck!